We will be happy to answer any questions you have about our products, our services and our company. You may want to know more about care instructions, use tips, our company policies in regard to shipping, returns, or have other questions. Please check our Frequently Asked Questions section. If you do not find the answer to your question there, please e-mail us and we will do our best to respond to your questions in a timely manner. Our policy is to answer your questions within 24 hours or the next business day. Wholesale and Distributor Inquiries Wholesale and Distributor Microfiber Sales, Accessories, Car Care, Electronics, Licensed Products plus so much more. Are you already selling Microfiber products, Gadgets, or if not, would you like to introduce your customers to a whole new world of products? Through our "Volume Purchase Plan" you can purchase the highest quality Microfiber available and be on the forefront of this exciting expanding market. Microfiber Products Online is a family owned business located in Sunny Southern California. 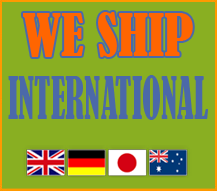 We manufacture the highest quality products in the USA, China and Korea and beyond. We also manufacture and distribute many different innovative gadgets to make your gift giving and receiving exciting.